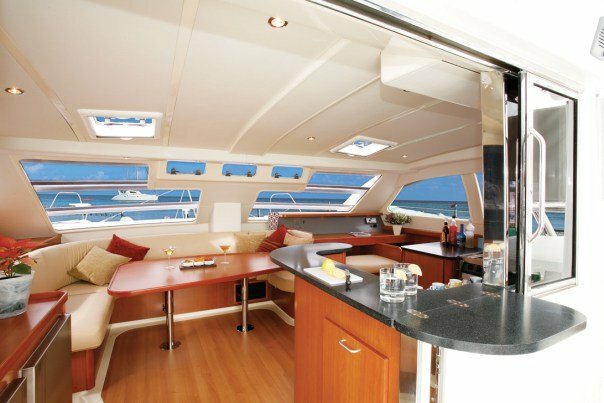 The Leopard 47 PC offers you an incredible amount of space. 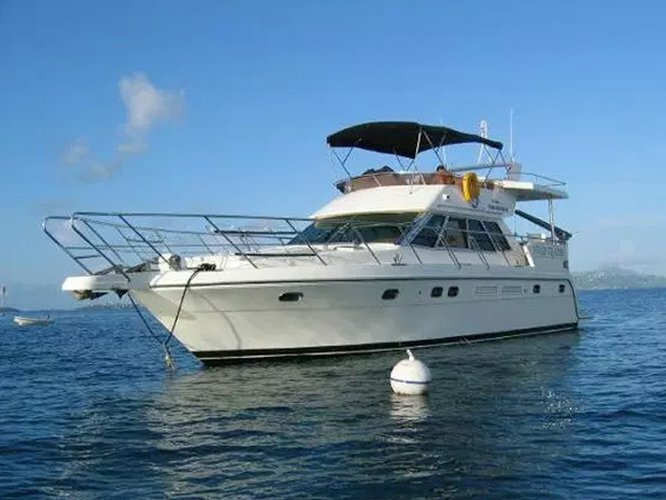 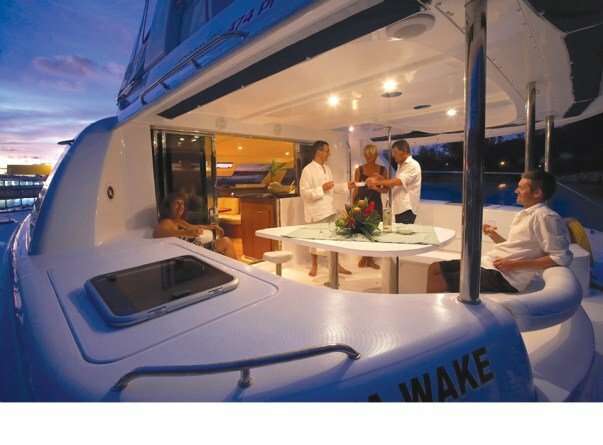 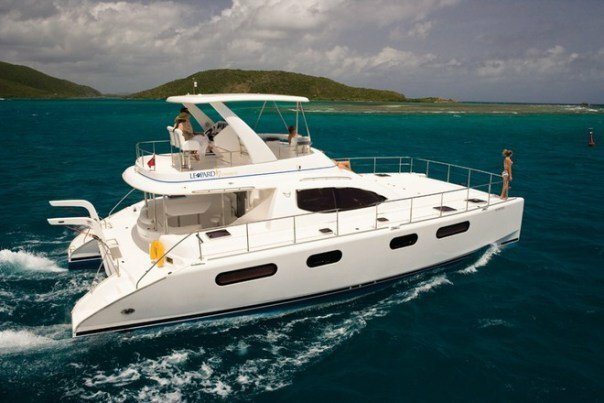 There are areas to enjoy the Caribbean weather fore and aft on the maindeck, as well as on the flybridge. 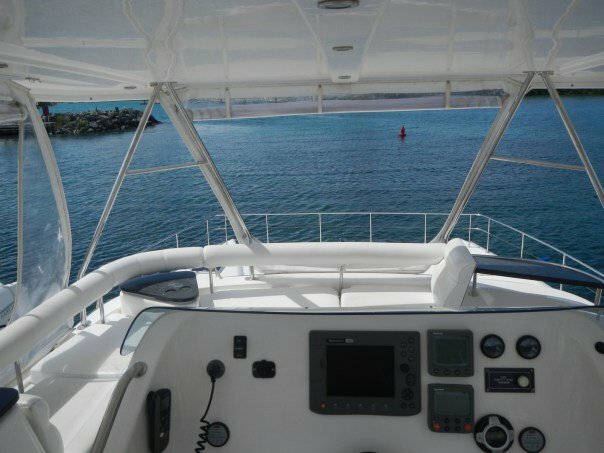 The helm station offers excellent visibility for the captain. 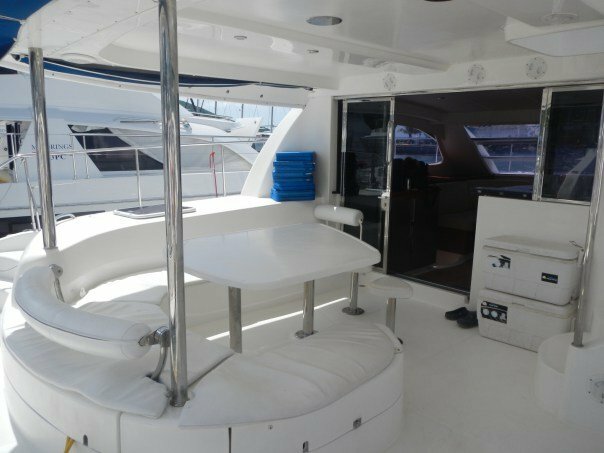 The galley and saloon blend into the aft outdoor area. 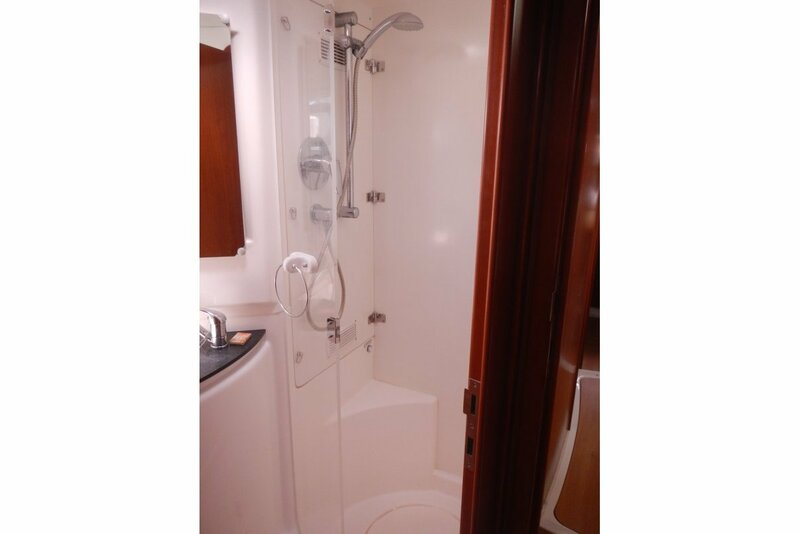 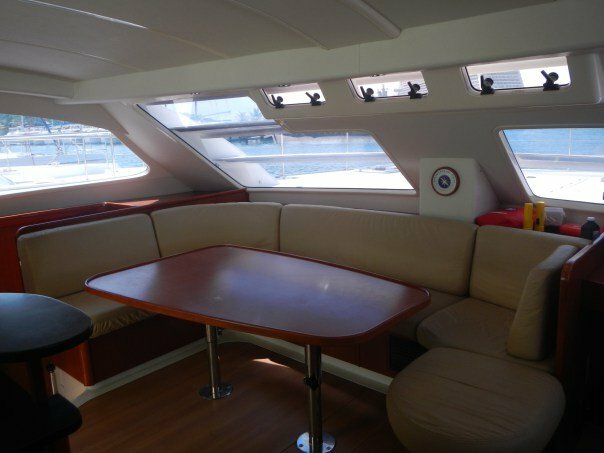 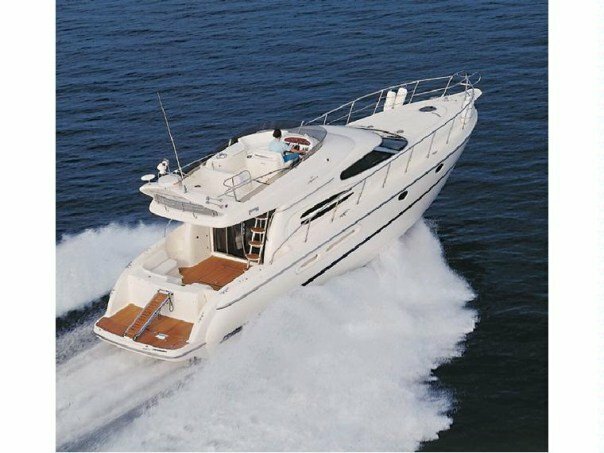 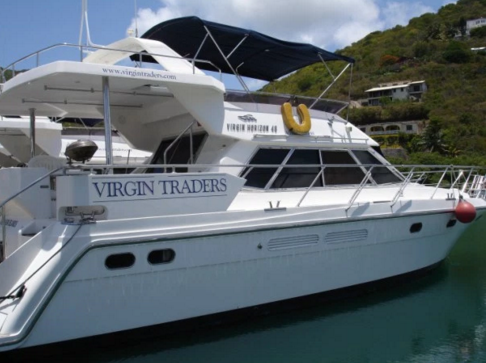 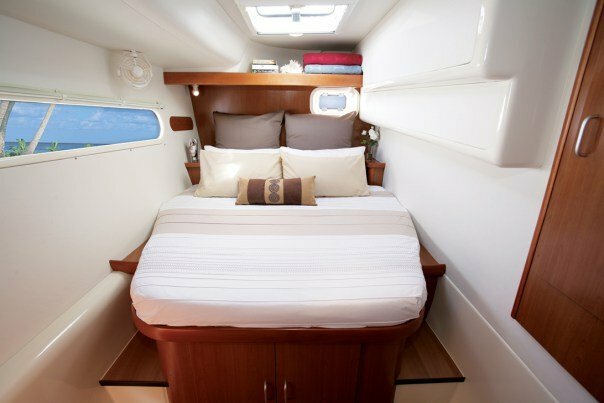 For nights inside, the yacht features a flat screen TV, DVD player, and stereo. 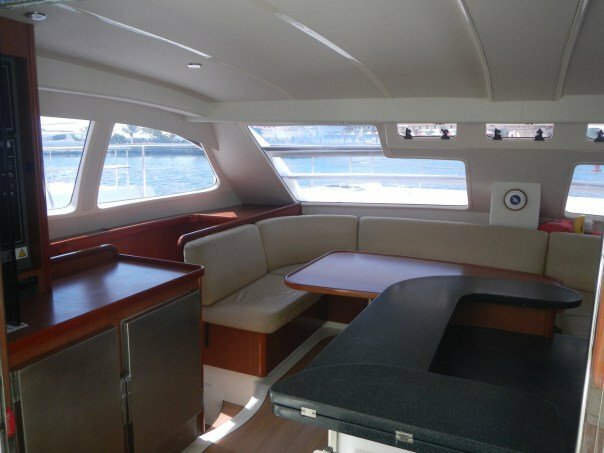 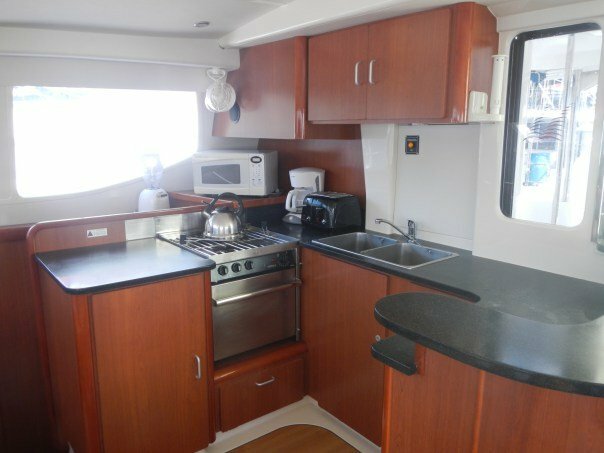 There are four double cabins with ensuite heads, and a convertible saloon table allowing this boat to sleep up to 10 guests. 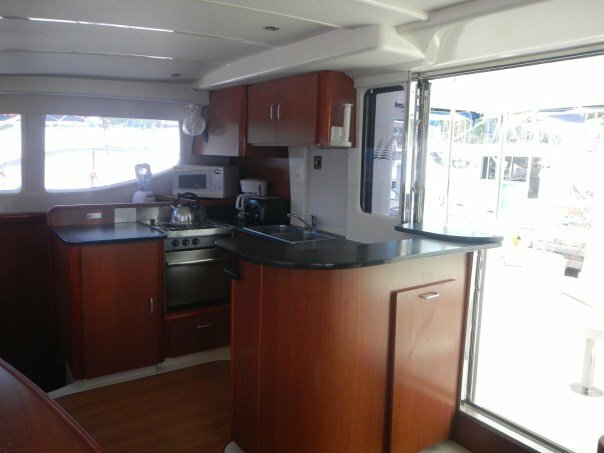 With air conditioning and a BBQ, you will feel right at home.